Hello and welcome to my March Newsletter where we jump back to this time last year. I met Amanda Blackwell of Joe’s Toes to create some portraits of her for the website and for publicity. 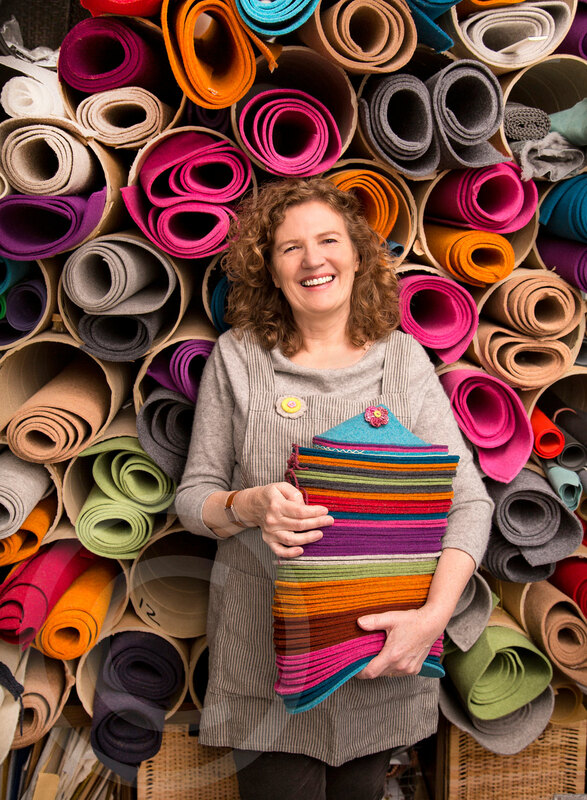 Amanda makes beautiful felt slipper kits that you can order from her website. I love doing storytelling portraits like these especially if it’s a creative and colourful location (and person!). Over to Liverpool to photograph Hollyoaks actress Sophie Porley for the Sunday Express Magazine’s ‘In the Closet’ feature. We had the run of the Malmaison Hotel and made the most of it, even the wallpaper came in handy. 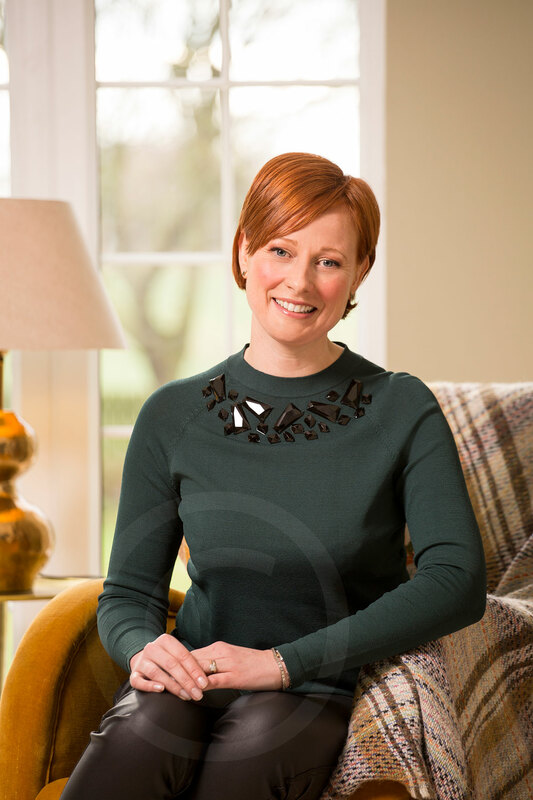 Sophie was lovely to photograph – very happy and easy going. Sally Rowe was in charge of hair and makeup and Tricia Welch was styling and writing the feature. I really enjoy working as part of a team. 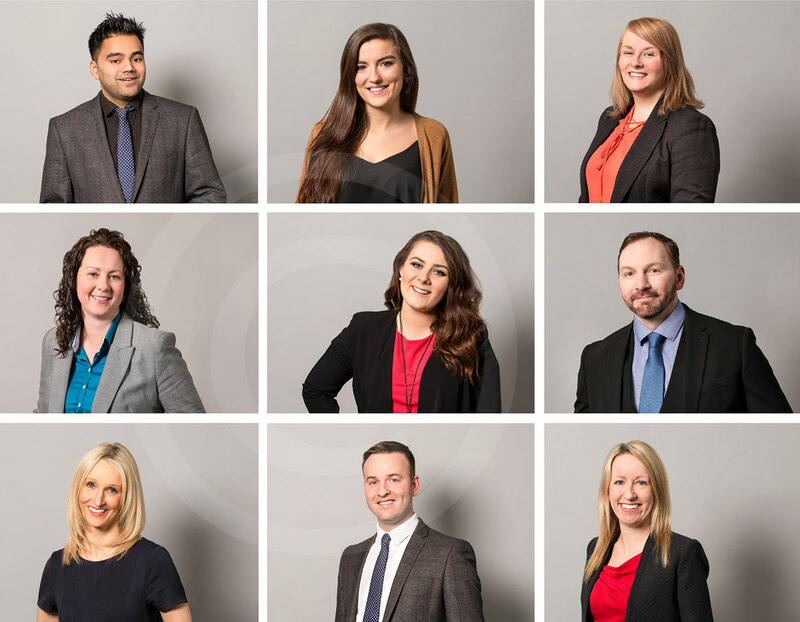 A corporate headshot photoshoot for Enact Conveyancing in Warrington on a light grey background. I do like a grey background – it’s lovely and soft. 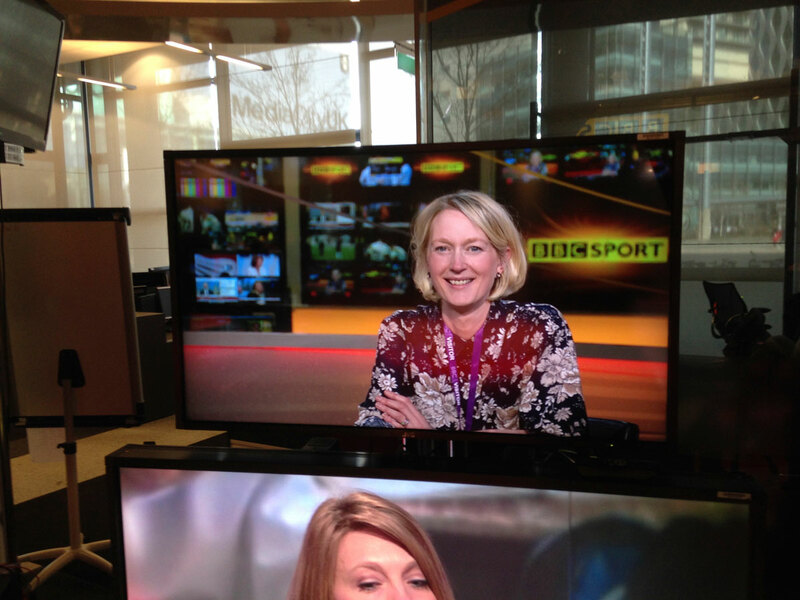 This shoot was a whistle-stop tour around the BBC at Media City. 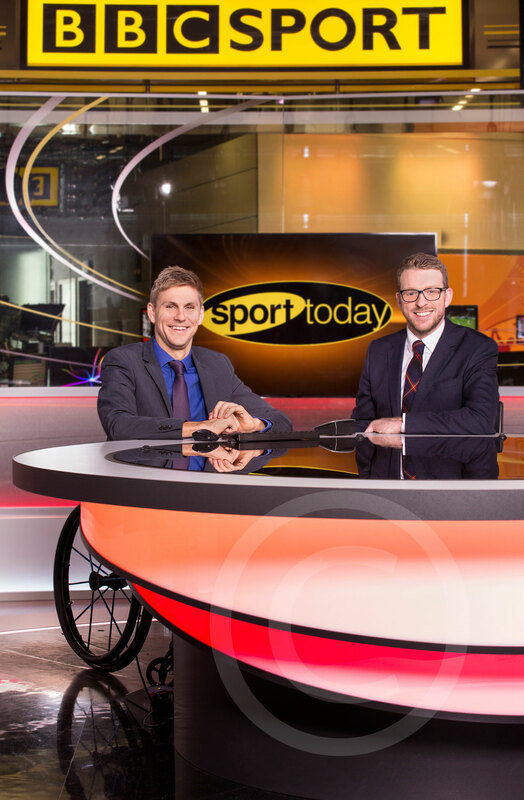 I was photographing Steve Brown and JJ Chalmers who are being fast-tracked as BBC sports and events presenters. We did studio style shots on a white background, then into the Radio 5 Live studio, then the breakfast studio and lastly the sports studio. It was really fast paced and I think we were all exhausted by the end of the shoot! 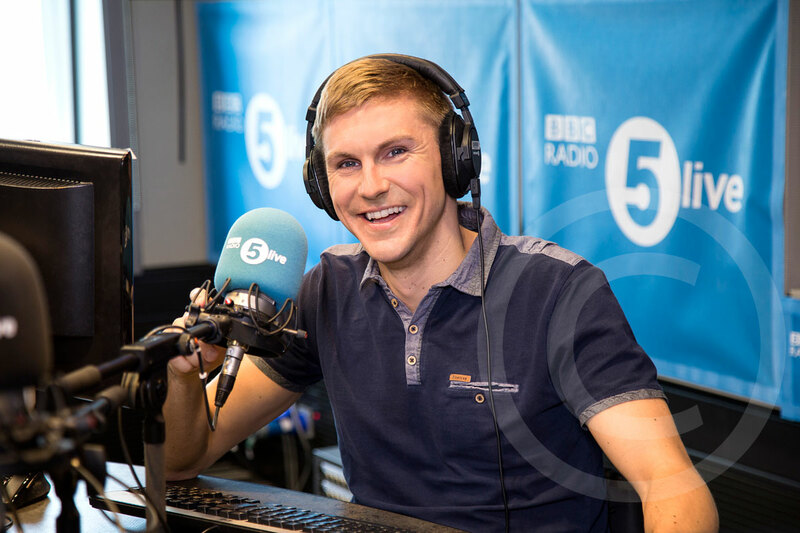 Steve found the time to take a photo of me ‘presenting the sports news’ so I could try to fool friends and family that I had a new fancy job – but it turns out nobody I know is that gullible! A visit to BBC Radio Sheffield to spend the day photographing the presenters on a clean bright white background. 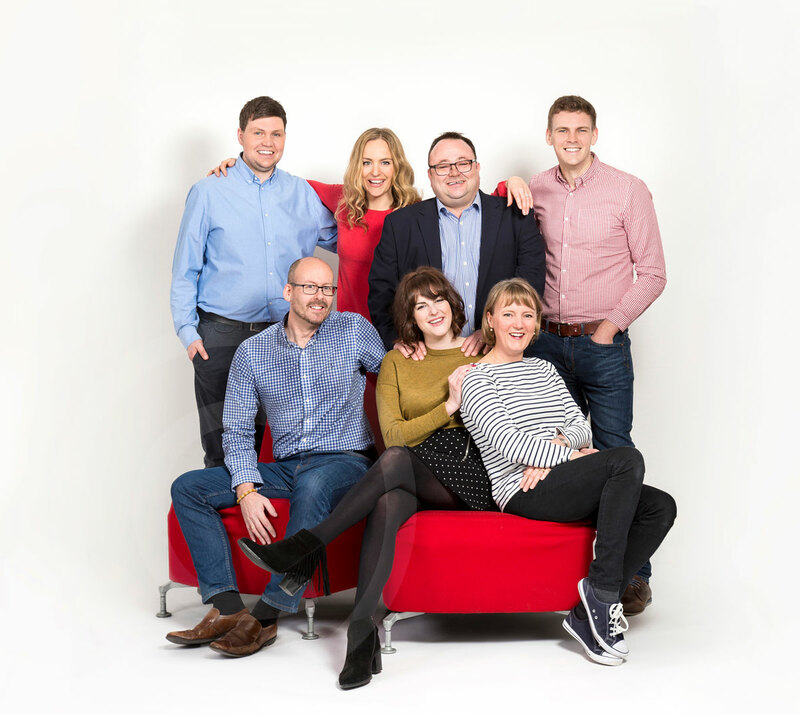 This is the Breakfast team and we literally had to cajole and slide Toby Foster into position at the last minute as he only had about a three minute window in between interviews. There’s nothing like a rush to make people concentrate! 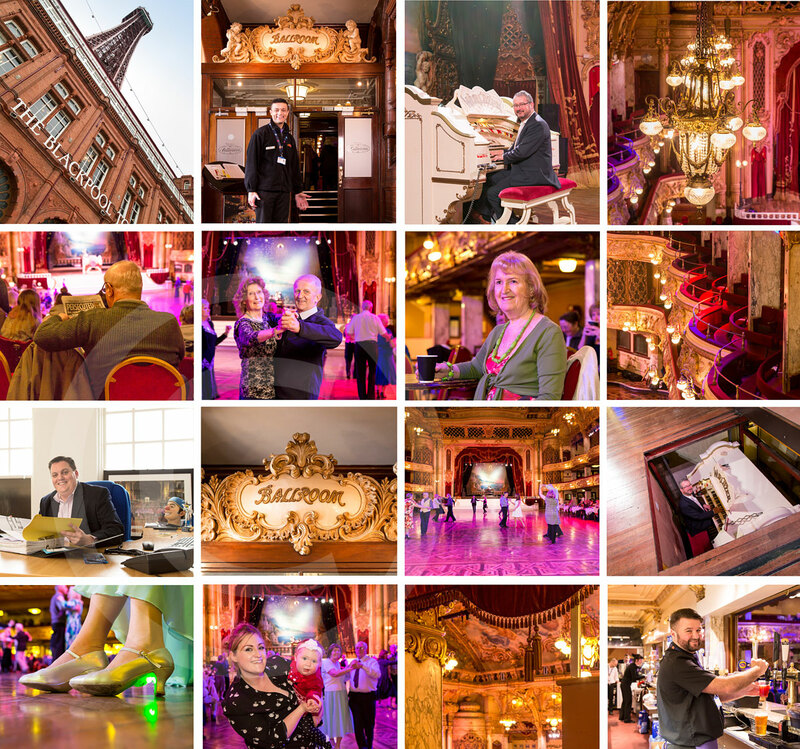 It was wonderful to photograph Lysette Anthony for S Magazine – again in Liverpool. Lysette was heralded as the “Face of the Eighties” by photographer David Bailey. Lysette is still just as stunning and I think I’ll have to herald her as the face of the twenty-teens as well. Although it doesn’t have quite the same impact when I say it! Helen Gilmore was just about to launch her new product Slixir (a hand and polish cream that extends the life of nail polish) and needed portraits for the website and for publicity. Helen invited me to photograph her at home and we worked together on choosing clothes and areas of the house to create editorial-style portraits with the right feel.